The dating app’s Chinese ownership has been flagged as a U.S. security risk, Reuters reports. That ought not be a surprise given the potential to use hook-up data for Kompromat. But amid a trade war, this jilting move is likely to make U.S.-China relations even rockier. Jeff Bezos’s company is ditching its Big Apple HQ plan after local opposition to the $3 bln in incentives it would receive. It makes Amazon look short-term greedy and uninterested in community concerns. Punchy politicians, meanwhile, have cost the city jobs and tax revenue. The web needs watchdogs, and they need guidelines. Make internet operations a privilege, not a right. Replace neutrality with a duty of care. Keep big data within strict limits. Provide ample honest information. These ideas will make the internet less profitable, but much better. Masayoshi Son invoked the Nobel Prize winner’s theories to argue the Japanese group is worth $110 bln more. But adjust his sums for low liquidity and the possibility of squandered cash, and the black hole is small. Massive objects like the Vision Fund distort the laws of physics. Facial recognition startups SenseTime and Megvii are in fundraising mode. 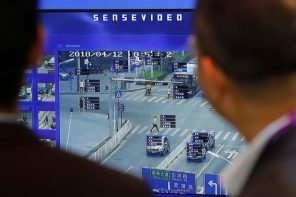 Video surveillance in China is tipped to be a $20 bln industry by 2022. Sticky questions could result in volatile valuations, but Beijing’s resolve to watch its citizens closely will drive growth. The $30 bln online merchant has a history of spinning off bits of itself. It has, though, missed opportunities in its core business. While the activist may persuade eBay to offload StubHub, for example, the big payoff could be selling the marketplace unit to a buyer like Walmart.